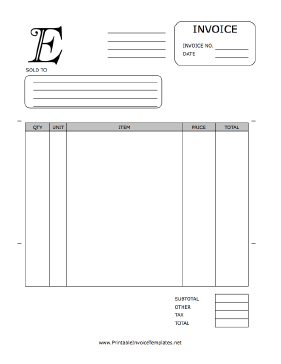 A printable invoice to be used by a business. It features a decorative letter E prominently at the top. It has room for shipping information, quantity, prices, and more. It is designed in portrait orientation and does not have lines. It is available in PDF, DOC, or XLS (spreadsheet) format.